David H. Brown is Senior Lecturer and was previously Head of the Department of Systems and Information Management at Lancaster University. His research interests are in the field of systems and strategy. In recent years he has taken a special interest in the Far East and particularly in China, where he has worked since 1986. 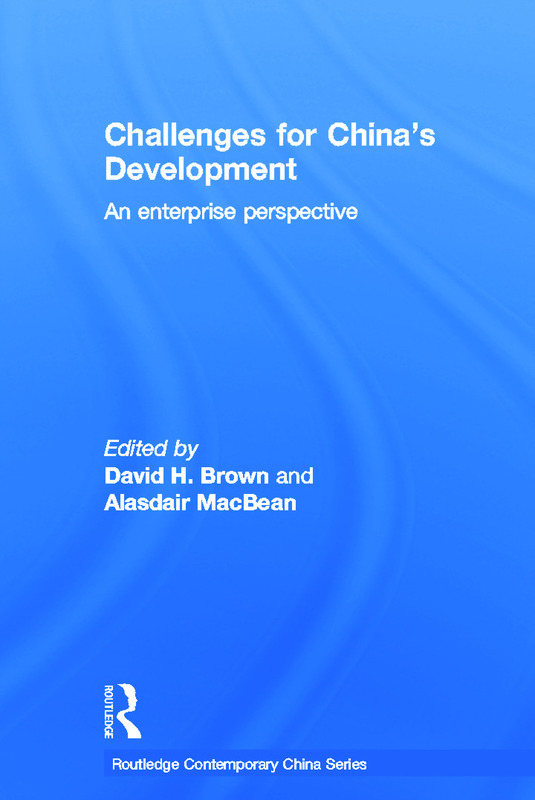 Alasdair MacBean is a Professor Emeritus and Director of the Lancaster Centre for Management in China at Lancaster University, He has previously been head of the Economic Department, a College Principal and a Prov-Vice Chancellor. His research is mainly in international trade and economic development, the economy of China, and transitional economies, and he has authored or edited eight books.